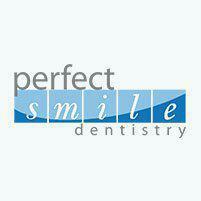 Professional teeth whitening produces dramatic results with just one treatment. Dr. Rasmi Akel at Perfect Smile Dentistry welcomes you to have your smile transformed with his advanced teeth whitening procedure. When you’re ready to eliminate embarrassing stains, contact one of his offices in Wellington and Boynton Beach, Florida, or schedule an appointment online to get whiter teeth that you’re proud to show off. Prevent gum irritation: The active ingredient in whitening products irritates your gums, cheeks, and tongue. You need to be careful to keep bleach away from these areas if you whiten at home. Dr. Akel’s professional method protects these delicate, soft tissues. Use quality products: Most whitening strips and trays available at the local pharmacy are one-size-fits-all, which means they may not fit your teeth properly. When that happens, you’ll get uneven results. Dr. Akel covers the surface of every tooth carefully and thoroughly with a whitening agent. Have better results: The whitening products available at Perfect Smile Dentistry are stronger than those that are available over-the-counter. Several treatments at home may never give you the level of whitening you desire. Just one professional whitening delivers results that last from six months to two years, and possibly even longer. Why should you see a dentist before whitening your teeth? If you haven’t had a dental check-up in the last six months, you may want to see Dr. Akel before using over-the-counter teeth whitening products to be sure you won’t encounter dental problems. For example, cavities should be treated before using whitening products to prevent the solution from penetrating through the decayed area and into the soft tissue in the center of the tooth. Dr. Akel can also talk with you about how well over-the-counter products work. Some types of stains and eroded enamel don’t whiten from using commercial products. It’s also important to know that teeth whitening products don’t work on porcelain dental implants, such as crowns, veneers, and bridges.